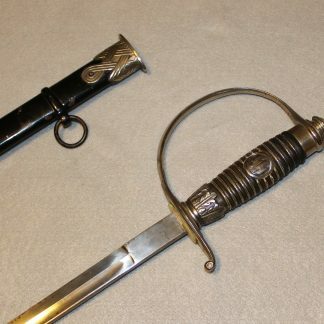 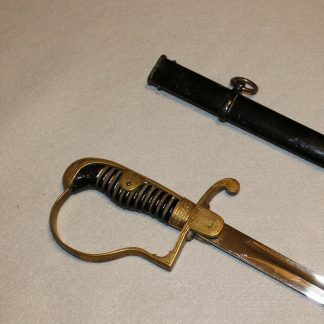 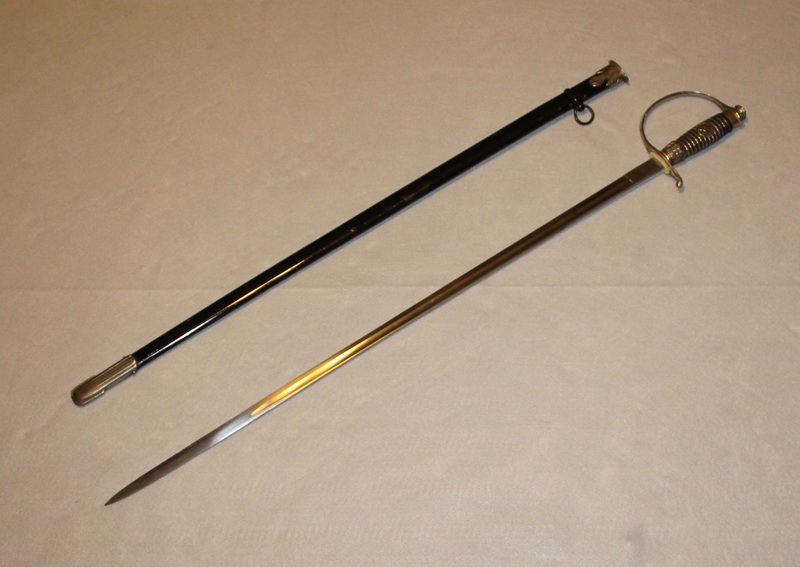 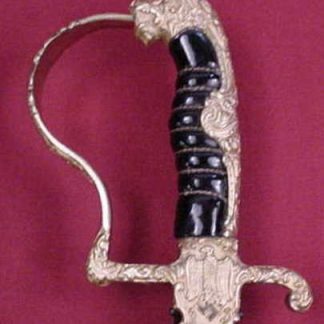 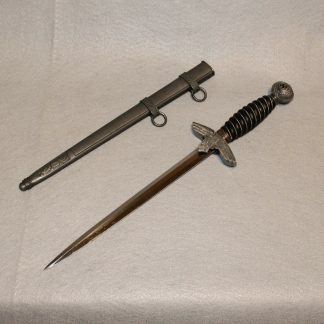 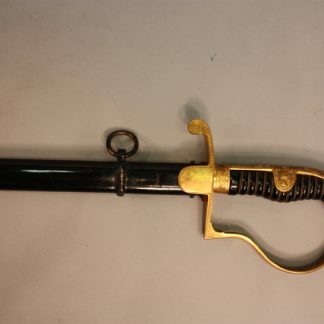 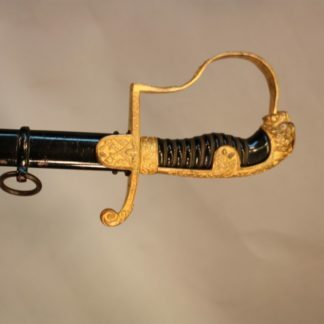 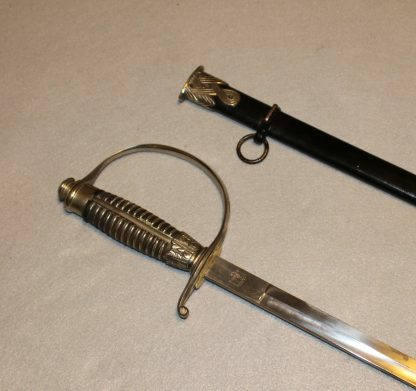 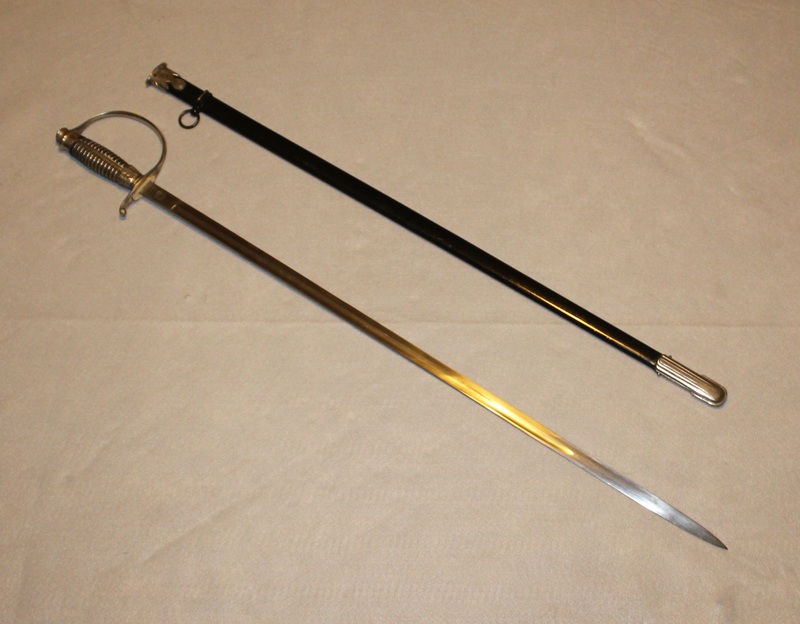 SS Officer Sword by Krebs – Military Collectibles, Inc. 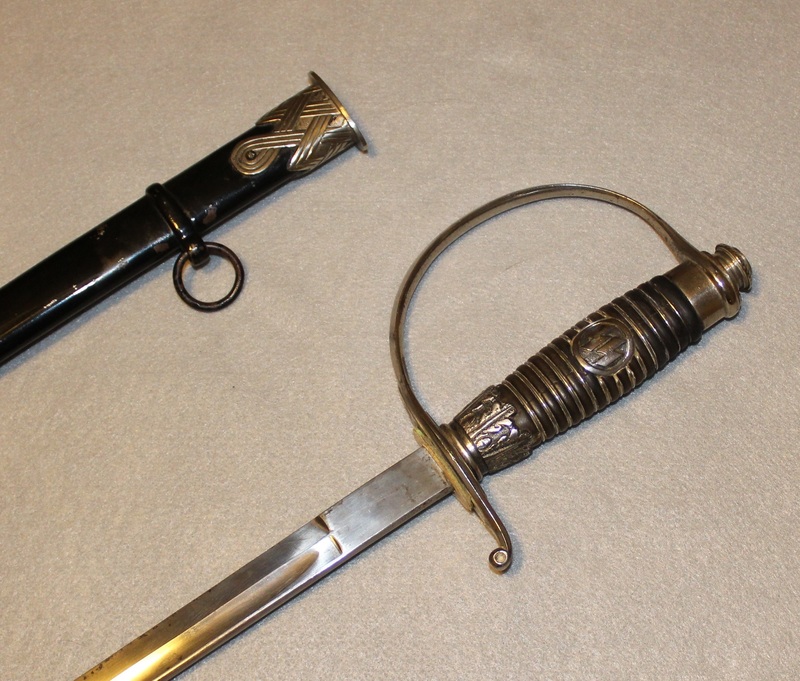 This mid-war piece is in overall nice condition. 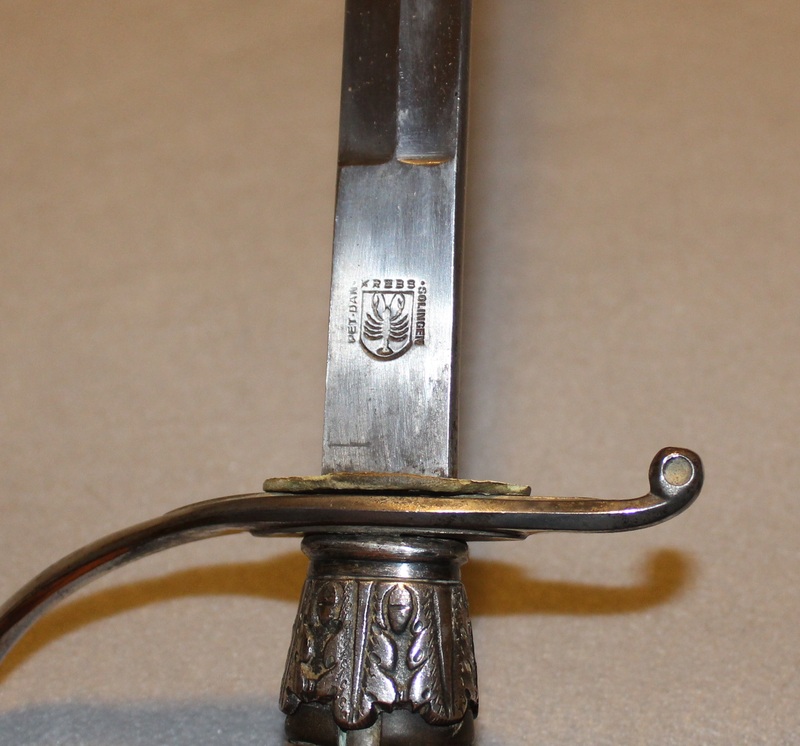 The blade is very clean with only a few age spots on the front upper portion. 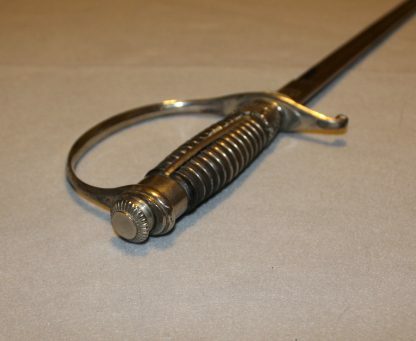 Hilt fittings are very nice and they retain most of the original burnishing. 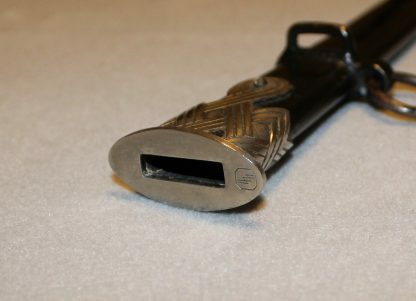 The SS insignia on the grip is solid and shows nicely and shows about 70% of the original burnishing. 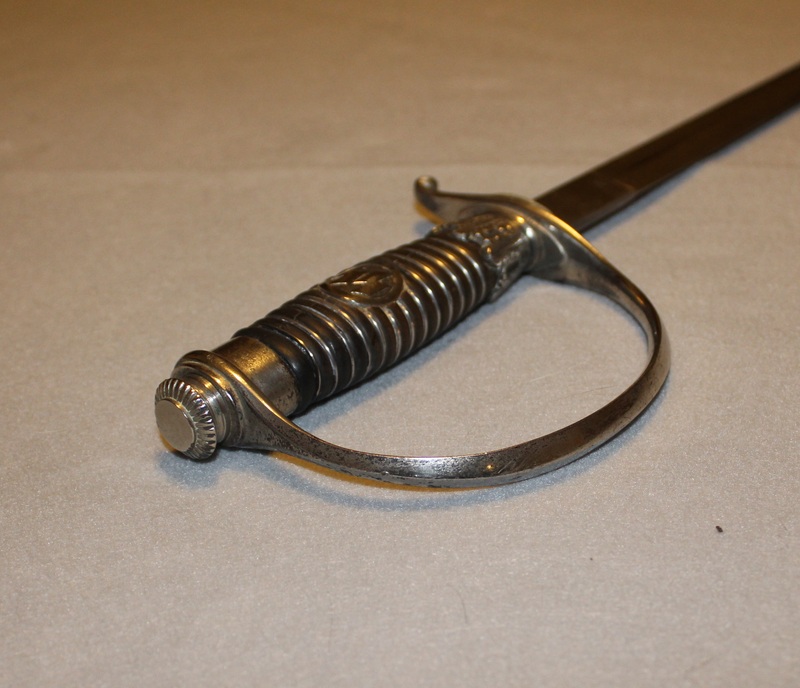 The piece is SS proofed on the D-guard and the scabbard throat.